Work safer with the Safer Strap™. Traditional leather and nylon material can be difficult to decontaminate effectively. Many times, harmful carcinogens can still linger in soft and absorbent goods. In contrast, the Safer Strap™ is both waterproof and cleanable. The strap is designed by firefighters, for firefighters with decontamination mind. 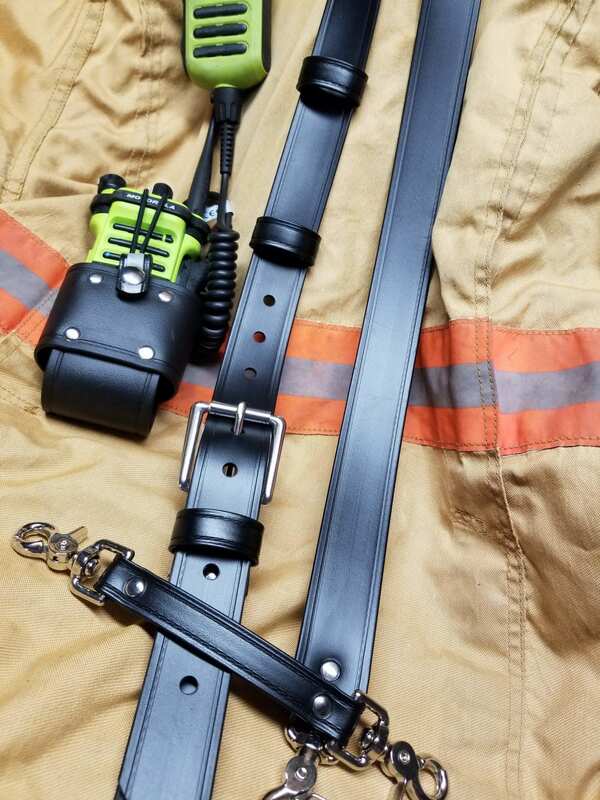 Ten-8 distributes all Safer Strap™ products to include radio straps, radio holsters, and belts. A portion of each sale will benefit the Florida Firefighters Safety and Health Collaborative.